Even if you’re an experienced car owner, maintaining your vehicle can be somewhat tricky. However, there’s one maintenance task that you should be sure to never skip: oil changes. Regularly changing the oil in your automobile can help boost both its performance and longevity, ensuring you’ll always have reliable transportation in Cassville, Huntingdon, and Mt. Union. 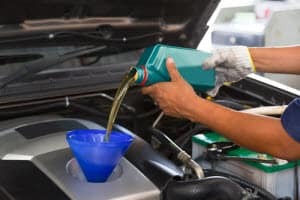 If you want to make sure your automobile always runs how you expect, it’s important to learn a little bit more about regular oil changes, including how often they need to be scheduled. Here are a few facts to help you schedule an oil change near me and advice for telling when you need an oil change. Although there are several important pieces of information you need to understand about oil changes, the most important issue is how often you should schedule this task. To make sure you’re scheduling oil changes with enough frequency, you must consider your driving habits and your vehicle’s mileage. If you drive your car in normal, low-stress conditions, you may be able to go as long as 7,500 miles before needing an oil change. However, if you operate your automobile in extreme temperatures or dusty conditions, you will need oil changes more regularly. Luckily, the every 3,000-mile rule is a thing of the past. Before you schedule an oil change near me, it’s crucial to understand what oil changes do for your car. 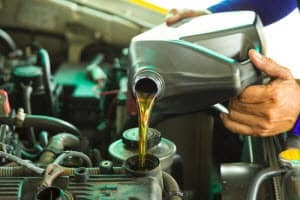 More than any other maintenance task, oil changes are directly tied to the performance and lifespan of your automobile. First and foremost, oil changes keep your engine properly lubricated, preventing your engine parts from grinding and damaging each other. Second, oil changes can also keep your engine from overheating, which is one of the biggest causes of long-term wear and tear. Finally, by regularly changing your oil, you can help maintain the fuel efficiency of your vehicle, helping you save money. If your vehicle is overdue for an oil change, there are several signs for which you can look. First, you should regularly check the color of your engine oil. If your oil is dark or has visible dirt and debris, it’s time for a change. Next, you can listen to the noises made by your engine. If you hear a knocking noise, it means your engine parts are improperly lubricated, meaning you need new oil. Lastly, if you can smell oil inside the cabin of your automobile, it means your oil is in desperate need of changing. Regularly changing your oil is the best way to keep your vehicle on the road, and now that you know the importance of oil changes, you can schedule this important task whenever necessary. If you’re looking for a quick, reliable oil change near me, look no further than the service team at Price Motor Sales. 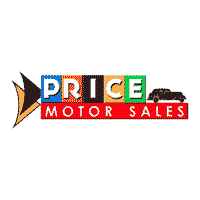 The Price Motor Sales’ Service and Parts Department can help you with whatever maintenance task you need, so that your car will stay running in Mt. Union, Huntingdon, and Cassville. Schedule an oil change today to keep your vehicle in tip-top shape.